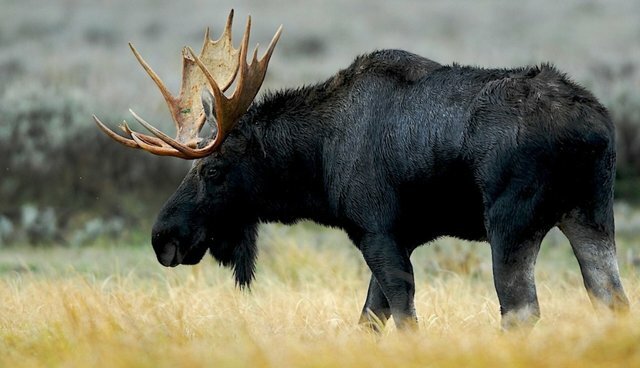 Over the last decade in Minnesota, a state where a moose can be seen emblazoned on nearly every souvenir and T-shirt, the iconic animal's population has dropped by about a half -- and no one seems to know exactly why. While the problem was reported last fall, the long winter has not been good for moose, who saw a 35 percent decline in 2012, the New York Times says. Seth Moore, a wildlife biologist in Grand Portage, theorizes that recent years of warmer, shorter winters and hotter, longer summers have resulted in a twofold problem. The changing climate has stressed out the moose, compromising their immune systems. And warmer temperatures have allowed populations of white-tailed deer, carriers of brain worm - which is fatal to moose - to thrive. The combination of causes has caused panic about the species -- so much so that state and local Chippewa tribes, which rely on moose meat for subsistence, called off their annual moose hunts last year. In a mad dash to save Minnesota's moose, scientists have begun a massive, high-tech study to outfit animals with GPS devices and -- hopefully -- use tracking information to figure out why the moose are dying. So far, the team has captured and collared more than 200 moose, finding multiple causes of death among them. Michelle Carstensen, who is leading the $1.2 million study, told the New York Times that she suspects the weather change is likely the root cause. "We're not to the point -- at least in our study -- where we can really point to climate change as a clear cause. But that's in the back of our mind."